Today's project incorporates both...so, yay! 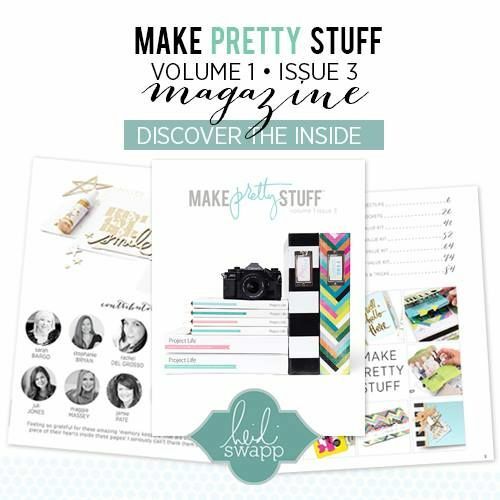 Last month I hosted a little "Pretty Party"/Girls' Night/Scrap Night at my house. We had such a fantastic time, we decided it was something we should do every month. For this month's get-together especially (with it being Christmas and all), I wanted to make a little favor for each of the girls. 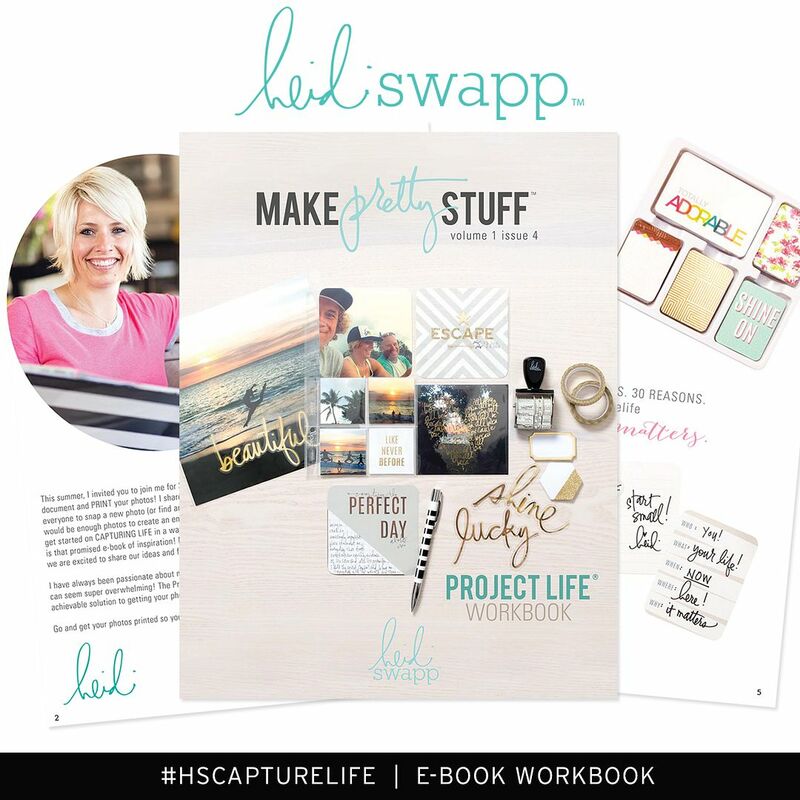 So when Joann Fabric & Craft Stores contacted me asking if I would put together a little something for their Holiday Make It - Give It Sweepstakes, I jumped at the chance. You know...two birds/one stone. 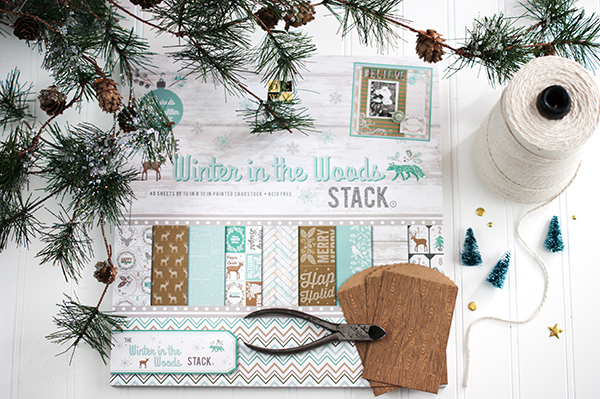 From now until Christmas Day, December 25th, you have the chance to win a $100 gift card from Joann Fabric & Crafts! 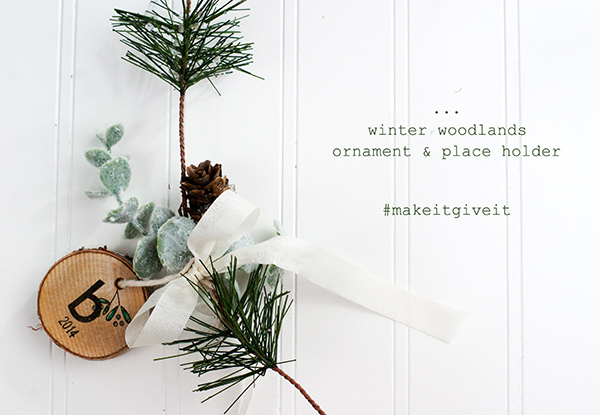 All you have to do is share a photo on Instagram of a holiday project you are working on/have finished and tag it #MakeItGiveit and you're entered! Boom! Easy! Jo-Ann will pick 5 winners at random and will announce them on December 30th. They’ll also be donating 5 – $100 gift cards to the National Military Family Association to distribute to families. 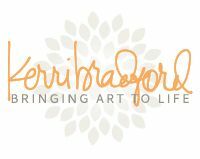 See official rules here: http://bit.ly/MIGI14. 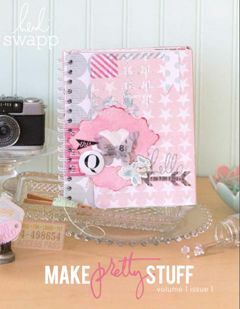 All entries will be featured on the Joann "Make Gifts Merrier Holiday Hub" at http://share.joann.com, so be sure to check them out! Again, you have through December 25th...so start snapping pics & sharing! To begin, use your wire cutters to cut a length of pine garland (mine are about 8" long). Do the same with a length of the eucalyptus. *Drill a hole near the edge of a coaster. I used a 3/16" drill bit (this size is super-common and can be found in any drill-bit set). If you've never done anything like this, it's really quite simple. *Lay your coaster on top of a thick piece of scrap wood (this will prevent you from damaging the surface you are drilling on). *Grab your husband/friend/older child and have them hold the coaster in place, or better yet, secure your coaster with a clamp. *Hold your drill perpendicular to your coaster and drill that hole! Easy, and quite frankly, fun to do. 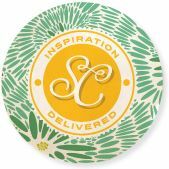 *OPTIONAL: dress up your coaster with stamps, markers or paint! I stamped each of my guest's last name initials and a little mistletoe branch...then I took a colored pen and just added a little green and silver. *Thread the hole you've drilled with a length of baker's or butcher's twine, tie it at the top and you have your ornament...yay! 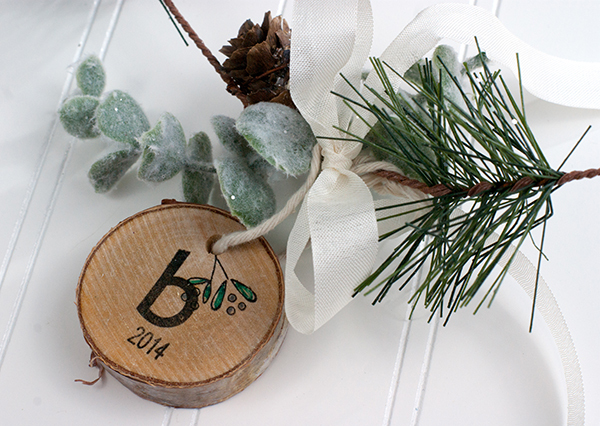 *Take the pine & eucalyptus pieces and arrange them, one on top of the other, until you like how it looks. *Wrap seam binding around them to hold them together. 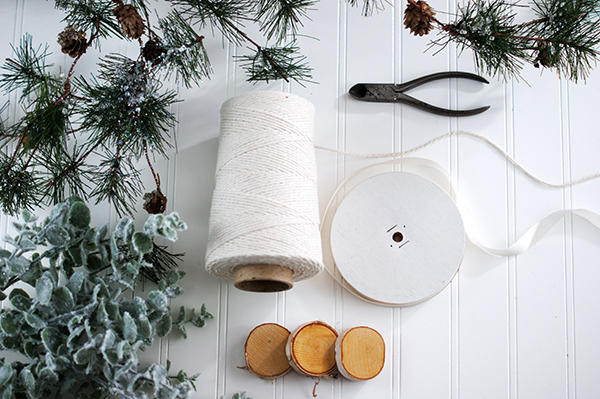 *Slip the end of your ornament twine over one of the ends of the seam binding, and tie a bow with your binding. I LOVE these so much. And I love that they can be used really for any winter get-together. 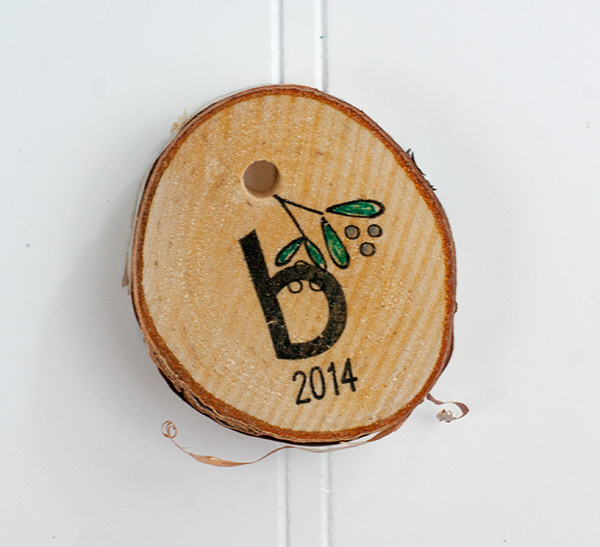 You can leave the birch coaster undecorated or undrilled for celebrations after Christmas. Besides my kids' main teachers, they each have an aid or two that is present in their classrooms for most of the day. We like to give these wonderful women gift cards for Christmas to let them know just how appreciated they are. But I, like most crafters, feel that a gift card in a plain envelope is just not enough...so I created these fun Winter Woodlands gift card holders. *Cut a 2" circle from the paper of your choice. I used this sheet of paper from the stack I purchased...I thought it was absolutely perfect! 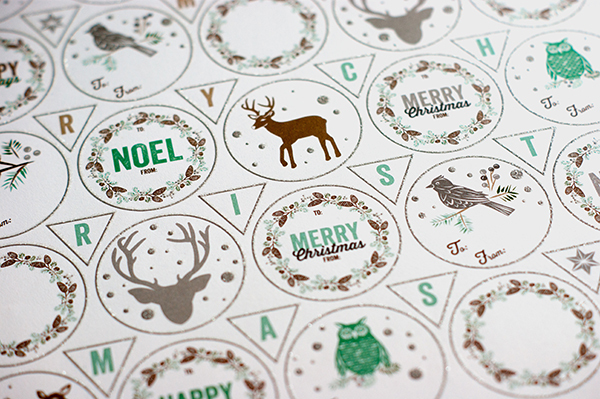 *Adhere a 3D tree sticker to your cut-out circle, and add an adhesive enamal dot or star at the top of your tree. *Now adhere your decorated circle to the center of your little mini-bag. *Cut a small length of pine garland with your wire cutters and tie a length of baker's or butcher's twine around the center. 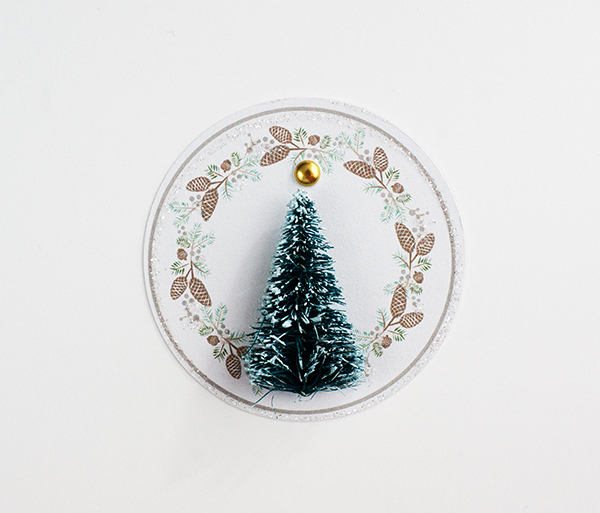 Using an adhesive dot (I like the bigger thickers ones...they are super-strong and things won't come apart), attach your pine piece to the side of your circle. Pop in your gift card, fold down the top and (optional) sew closed. And there you go! A perfectly beautiful, and wintery! gift card holder. 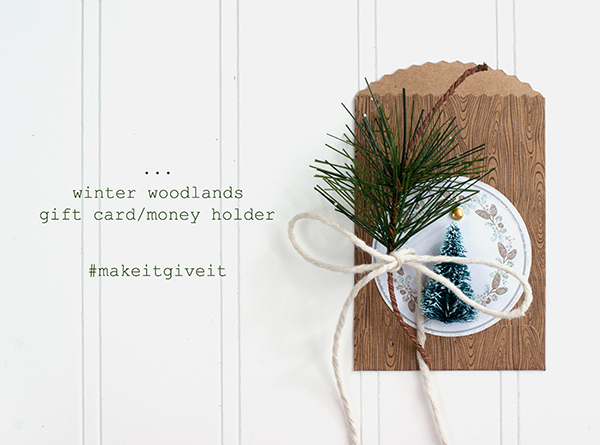 Now get started photographing and posting your holiday projects (don't forget to tag them #MakeItGiveIt!)! Thank you so much to Joann for the opportunity to take part in this fantastic campaign!